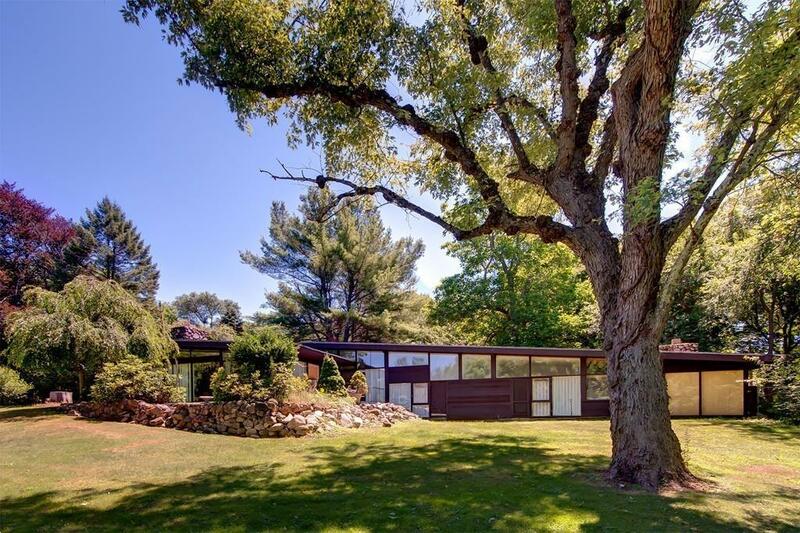 This Mid-century Modern home is perfect for a new owner who appreciates unique architecture, and is prepared to make it shine again. Beauty and character abound throughout with vaulted ceilings, floor to ceiling windows, stone fireplaces, built-in cabinetry, drawers, and bookcases. So many additional features are showcased throughout, and make this unique home perfect for a discerning homeowner with vision and resources. The family room, laundry room, four bedrooms, and three full baths are located in a separate "wing" just five steps down from the main living area, and all but one bedroom has exterior access. Once used as an equestrian property, the home is situated on a large open lot, which includes a four stall barn, and could be used for horses or other animals. Just a short drive to the commuter rail station, 495, and the Mass Pike. Close to lake, recreational land, and more.